Our mission and vision it to change the world one vehicle at a time. This is what our eco-friendly mobile auto detailing services are all about! DetailXPerts is dedicated to protecting your car’s showroom finish for a classy clean. At the same time, we patronize the environment for a brighter future. And we do both through utilizing a unique chemical-free, steam cleaning process. On top of all, we provide others with the opportunity to achieve financial independence while creating jobs through our franchise opportunity. Our mobile auto detailing business takes great pride in the care for details and excellence. Being a customer in one of our auto detail shops, you make a difference both for your vehicle and the Earth. Our patent-pending process uses no harsh detergents. Only specially formulated chemicals and wiping cloths that don’t harm your vehicle. Or the environment for that matter. We assure you that our professional detailing services use only organic cleaning methods. DetailXPerts is a responsible corporate citizen. 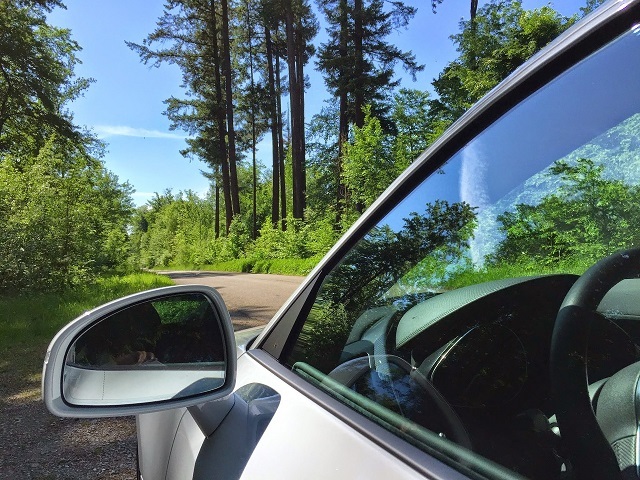 As such, our professional mobile auto detailing business has made an environmentally-friendly commitment to care about the people and our planet. Also, we are a certified Green Member. Download our sustainability statement to find more information on how we care for people and nature. It did not take long for both people and the media to turn their attention to us. As our story continues to be retold, we’d like to give you a lowdown of everything that has driven us to become a successful business model as well as an environmental advocate in the corporate world. Every Small Step Counts – Go Green or Join Our Franchise Family! We believe that professional mobile auto detailing is a small step people should take toward saving natural water resources. Thus, it is DetailXPerts’ duty to make this step possible – to make the opportunity available for people to choose the better and eco-friendly detailing services for their automobiles, trucks, motorcycles, boats. We were constantly testing new ideas and improving our business model. Now that we are sure it is a successful one, we provide interested individuals with mobile auto detailing franchise opportunities. Download our franchise opportunities information or visit DetailXPerts franchise website for more details.